I usually kick things off with a product review but the Housewives of ATL must take the front seat today. Although Sheree tried to behave like she was above all the drama, the only one who really kept her nose clean was Deshawn. Deshawn appears to have a great support system through her family and her husband in particular. I like how Deshawn was staring down Sherree like "sucker please I'm not going to reach out to you so get over it". Sheree in one word -pathetic....and I hate the way she pronounces the word "fabulous", it always sounds like she is saying "fabless". It was confirmed that Lisa was the blabber mouth who spilled the beans about Nene's limo performance but I don't think any of us had doubts about that one. Did you notice that Kim did not readily take on Lisa, it seemed like she didn't want to mess with Mrs. Wu- Hartwell. Kim said that her hair was falling out, she lost 25 pounds and her friend who is a doctor said he was "90% sure that she had cancer". Ummm did he just look at her weight and hair loss and make that diagnosis? Kim also tried to play it off like Nene new she had cancer, but Nene quickly cleared that up. Oh yeah and KIM NEVER HAD CANCER-she is so SHADY. She also blamed her heavy makeup as the reason why she doesnt look 29 years old. I think she doesn't look 29 simply becuase she hasn't been 29 in years. I think Lisa began to detest Deshawn when D said " your money isn't guaranteed"...lol pouring salt on the wound. Dwight's weave...no comment..lol For me, his comment of the season was - " who was this wonderful person who had a fashion show with no fashions? Dreadful"
I like Nene's new hair style by the way. Check out Antithesis' minute by minute recap...lol and Meandering Memorandum. Here is Lisa's most recent chat with Essence. While I enjoyed the reunion I was more entertained by hit BET show Brother to Brutha. Those poor guys are in so much pain but they sure can sing. When their father apologized to Poppa it seemed somewhat sincere until he said "I don't want to be shut out, when you all blow up I don't want to be on the outside" (something like that was said which basically made him sound like he just didn't want to be cut out of the cash flow). I know that the world seems to be on Youtube but when I caught wind of Shanice (the singer of I like your smile) singing Beyonce's "If I were a Boy" I thought this it was a great way for her to let people know she's still singing and sounds great. However, when I saw the video of Shanice cleaning up her kitchen I was puzzled. Despite this youtube craze, some people need to know when enough is enough..lol No I didnt watch the full video of Shanice cleaning the dishes. lol Here shes is sining the Beyonce tune. What do you think? So it finally arrived, my $9.00 Oyin Juice and Berries leave-in herbal hair moisturizer. I am not exaggerating when I say that this Starburst candy scented hair product smells amazing. It combines organic aloe, orange oil, chamomile and other ingredients to form this light weight liquid moisturizer. After spraying it on my hair, it felt so soft. I will continue to buy this product from Oyin because it is working really well so far. It is supposed to grab moisture from the air to keep your hair moisturized. I'm not exactly sure how it is pulling that off, but I know that my hair feels great after using it. The products are all handmade so it takes a while to receive your shipment but it is so worth the wait. I will use the conditioners tonight and post a review maybe in the next two to three weeks after I have used it a few times. Do you use any Oyin product? 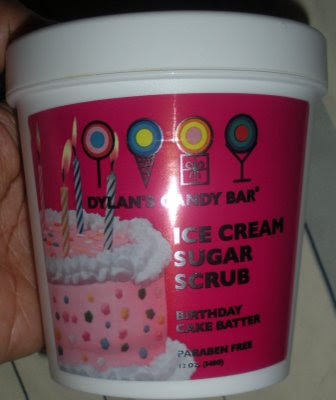 Dylan's is a very famous NYC candy store, so imagine my surprise when I learned they were branching into the area of beauty. Sephora is now selling Dylan brandy beauty products so I had to get in on the action. The lip salve is a disaster!!!!!!! The $8.00 lip salve is cleaverly packaged and wrapped in this plastic cover (I really should have taken a closer look but I didn't) but once the cover is revealed you see just how little salve you have in the container. Strike 3- If you don't put on the right about, your salve will evaporate into thin air. All of this disaster for $8.00.... the lip salve is a SKIP IT for sure. On a positive note if you put on a moderate amount it will stay on for a long time, but doesnt vaseline do that also??????? The 16oz, $16.00 soda pop shower gel is nice. It is a thick body wash that lathers really well. The scent does not last long but at least while you are bathing you get to inhale a delicious scent. However Dylans recovered well with the $16.00 Body Smoothie Lotion which is actually a really nice product. My skin remained moisturized and smooth after my first application. 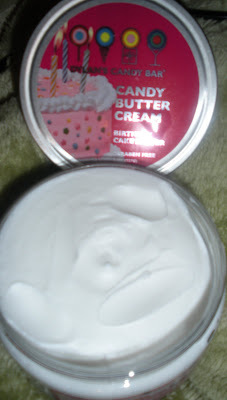 Ingredients include shea butter, aloe, jojoba oil and vitamin A. I opted for the coconut bon bon scented product instead of "strawberry licorice" or "birthday cake batter". I know I have already spoken about the 100% pure products but I purchased the pomergranate body wash (15.00) and it stinks..lol I am so certain that when I smelled it in the store it had a great scent but I guess I was wrong. So now I have a smelly bottle of body wash...sigh. I also picked up the 100% pure body wash in strawberry lemonade. ($13.00)..I know I know I just spoke about getting a more mature scent but cut me some slack, old habits die hard..lol. I neglected to mention yesterday that I use rollers in different sizes based on the type of curl pattern I want or how tight I want the curls to appear. Is anyone enjoying the new season of the Game...love that show. and I adore Tia's haircut. Most of us have come to a point in our lives when we realize that we just need to grow up. Putting our past behaviors behind and moving toward a new path may be difficult but it is often necessary. So after smelling The first perfume from Carol's Daughter, Pearl, I decided not only that I like the scent but I needed a more mature scent. I don't want to enter business meetings smelling like strawberries and buttercup frosting so growing up in the scent department was necessary. 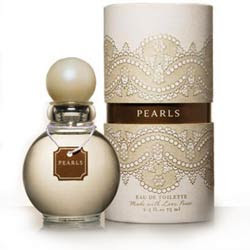 On Saturday I purchased Pearl, which is priced at $45.00 (for 2oz), and I am so pleased with that I have added this new fragrance to my collection. This is actually the only perfume in my scented collection because I generally hate that heavy scent of alcohol that accompanies so many of the fragrances and body spritzers on the market. I also found this scent to be long lasting because I wash my hands often yet I was still able to smell the fragrance on my wrists. Good job Carol's Daughter you have a winner on your hands. Have you smelled this fragrance? Ingredients for Perl: Anise, Bergamot, Lemon, Verbena, Apricot, Peach, Jasmine, Rose, Ylang-Ylang, Fresh Aldehydes, Violet Leaves, Musk, Caramel, Vanilla. Here is a quick video to show the consistency of three My Honey child products. I use magnetic rollers when I roll my hair, which is just about every night. The metal clips are used to secure the rollers. I love that the Essence magazine website follows the Housewives of Atlanta woman. In this recent interview Kim reveals that Big Poppa is indeed married, just as I suspected. The drama continues to unfold, now the problem is between Lisa and Kim. I took a sniff of the new Carols Daughter perfume and I like it. The scent is light but not so light that you don't notice it. I think I may actually purchase it, this is coming from a woman who dislikes perfumes. Sorry I was going to post a video today but I am in such a time crunch so maybe over the weekend. If not, it will be posted on Monday. I used to get a fun little pink pill from the dentist as a child. After brushing your teeth, you would chew on this pill and it would help you to see if you were either an expert brusher or if you needed to revisit certain areas of your teeth for another round of brushing. (did you get those as a kid? I think it comes in the form of mouthwash now for kid...anyway moving on). So today I will introduce you to the little pink pill for my face. Have you ever washed your face and then used one of those facial clothes only to reveal that you still had makeup on your skin or it just wasn't as clean as it appeared to be when you looked in the mirror. 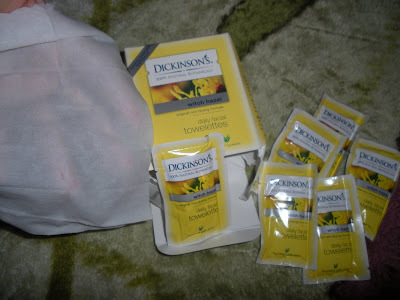 Well I decided to try the Dickinson which Hazel daily facial towelettes which contain a touch of aloe. These 100% natural botanical cloths are lightly scented but they pack a mean punch. These towelettes are designed for use on the go, they are individually wrapped and can tote around in your purse all day. This wipe is supposed to lock in moisture, tone and protect your skin while preventing future blemishes from surfacing. I do not use these cloths on a regular basis because I have a feeling that it would be too drying on my face. I like to use the cloths every now and then in the same way that I would use that pink pill as kind, I check to ensure that all residue is gone. Perhaps it is because I use it after washing my face that it makes me feel like it would want to dry out my skin if I used it daily. At any rate it is a pretty good product and for those comfortable using towelettes on the go, this may be a good solution. A box of 20 will cost you roughly $5.00. Have you tried this product or a similar product form another company? Also i am looking for a new facial scrub, any suggestions? Sadly, I must present you with the true facts about a product I had high hopes for, the She Scent It Hydrating Body Milk. I purchase the two lotions in matching scents to the two She Scent It scrubs that I purchased recently. Have you even had a beverage or food that was not so bad going down, but once it was finally down your pie hole you were left with an after taste? Well if that is familiar, then you will relate to the after scent that lingers after you apply the She Scent It body milks. The first complaint that I have is that the lotions don't really smell as good as the scrubs. The tropical punch scrub was my favorite but the tropical punch lotion fails to deliver because it does not smell the same and it almost makes me feel queezy. I will have to apply this lotion on my feet at night so that that the scent is on no where near my nose. Sorry She Scent It but please go back to the drawing board on this one. Aside from the scent the lotion isn't very long lasting, its regular nothing special. There are many other scents to select from and they may be excellent, but My Apple McIntosh and Tropical Punch did not hit the spot. On a positive note the lotions have great ingredients and they are all paraben free. You will pay 14.00 for this 8 oz stomach churning lotion. For me, this product must go into the "SKIP IT" files. Have you had a good experience with any of the She Scent It hydrating body milks? There is a famous cake shop in NY named Magnolia Bakery and people stand on hour long lines just to get their hands on the sweet cupcakes produced. A new Magnolias opened up so I had to go there to pick up the famous cupcakes for the first time. I was excited because there was actually no line at the time I entered the store so I ordered up my cupcakes. Before leaving the store the line was literally out the door. Anyway the cupcakes are nice, they have delicious butter cream frosting and they are colorfully decorated but no way would I wait on even a 10 minute line for those cupcakes. If you put them in the microwave, they taste much better but it's not all it's hyped up to be. In fact the chocolate cupcake was DRY but the yellow cake cupcakes were better. The carrot cake however is delicious and moist. If you want cake worth standing on line for, I would suggest checking out the Cake Man Raven in Brooklyn...his red velvet is the best I have ever had and his green coconut cake is FABULOUS. I really never cared about standing in line for his desserts as long as necessary just to get my hands on his creations. As many of you women move up the corporate ladder (earning degrees and making more money) do you find that it is harder to find a suitable mate? Just wondering. Sometimes I buy products because I really expect the product to live up to its claim but other times I think I buy products to prove that the claim is as ridiculous as I first imagined. When I walked into CVS on Friday I saw Rihanna's hazel eyes glistening in the Covergirl adversment I just had to read more. The new Covergirl Exact Eyelights is an illuminating mascara which contains little sparkley flecks that will make your eye color pop. I have to be reaslistic I didn't expect this product to work because as B mentions in her review of this product, the claim just doesn't make sense. Below you will see a pic of my eyes, the one on the right has nothing and the eye on the left has the Covergirl Eyelight mascara. Obviously I would never buy this product again, it really is a true waste of money. Now as a regular mascara it has one of those plastic wands and its ok,, nothing special. I haven't done it in a while but this product goes into the "SKIP IT" files. Have you ever purchased a product with a ridiculous claim? If so please share. Also I would love to know if anyone has had success this this mascara. The H20 can get a little product build up if you don't rub it into your hair well. I am not sure if any of you saw the post on the free Aveda makeup makeover. Check it out if you are in the NY area. 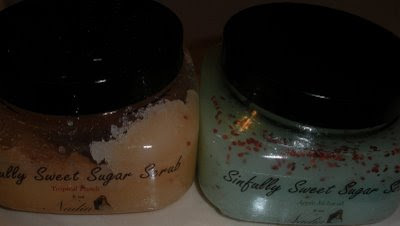 I wanted to try the new body scrubs by She Scent It so I purchased two of the Sinfully Sweet Sugar Scrubs in Apple McIntosh and Tropical Punch. I have to say that the Tropical Punch scrub smells so much like the tropical punch flavored Kool Aid (ok moving on..lol), so I really like the sweet scent. The green Apple scented scrub does not really have a strong apple scent. You have to breathe deeply to really get that apple fragrance going. 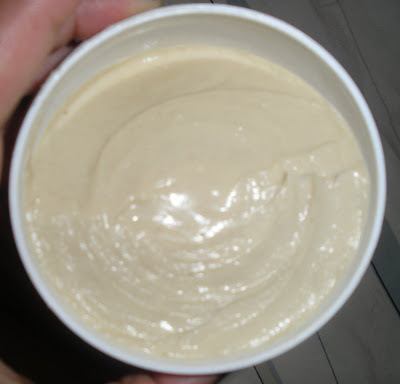 This is one of those scrubs that after using it, you have this oily coating on your skin. The scrub contains oils of grape seed, jojoba, apricot kernel and vitamin E. Now the ingredients that surprised me the most would have to be the cocoa and shea butter. She Scent It uses sugar in this scrub instead of sea salt because it is supposed to be less harsh on your skin. You may have noticed the little red cranberry seeds floating in the scrub, they are added to the mix to gently exfoliate the skin...and they look pretty good in there too. The scub is Ok nothing too special just your ordinary scrub- tropical punch smells great though. I also think the jar is just too small, 8oz goes way to quickly. I think my next tutorial may be on how to make a scrub :-) Not that I am trying to take money out of the hands of the many hard working bath, body and hair entrepreneurs because I am not, but I just want to offer options to those who may not be able to spend the money on certain products. An 8oz jar will cost you $12.00. I tried to post yesterday but Blogger gave me a crazy error message so I quickly gave up. Anyway today I am on to a product that I just received from Komaza. Since this product is new in my household, I am only reporting the immediate results that I received after using the H2O Plus moisturizer. 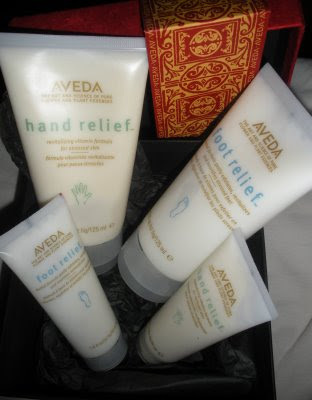 This product includes cinnamon, jojoba oil, honey quat, castor oil and other moisturizing agents. 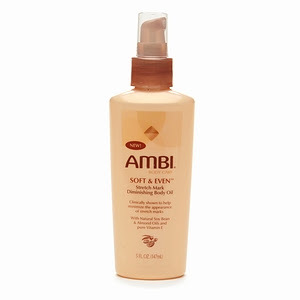 It comes in a spray bottle and it promises to keep your hair soft as it moisturizes your hair. The makers of this product claim is that you can use this daily without experiencing build-up. I sprayed this moisturizer liberally on my new growth and the rest of my hair and I fell asleep without my satin head scarf. Yes, this means that all night my hair was moving to and fro across my COTTON pillow cases- hair disaster. However, my hair was still silky smooth and the areas where I sprayed the product were still moisturized. The directions encourage the user to follow this product up with a leave in conditioner but I only did that in certain sections of my head (the results were equally fabulous). Even the sections where I did not follow up with a leave in conditioner my hair felt great. The scent is pleasant enough, it smells a little like unscented soap (you know those unscented soaps that clearly still have a scent..lol). Who do you think spilled the beans to Sheree about NeNe's song in the limo? My guess is loose lipped Lisa. I loved it when Dallas Austin said "she can't waste people's time". Even more priceless was his expression when he first heard her sing. LOVED IT....he gave her the side eye like ummmmmm this is a joke right???? *B Fly reminded me about another classic moment- when Kim spelled cat with a K.
I decided to make a whipped body cream over the weekend and the video below will show you how I made my creation. I was very pelased with the outcome and I want you to experience this product with me so, the winner of my next give away will receive a fresh sample. I will modify the creation and include slightly different ingredients ( I am having some new ingredients shipped) and that will be the version that you will get to sample. This body butter can also be used on the hair because all of the ingredients are also for the hair, so no harm will be done. However, I believe this moisturizer is best suited for naturals instead of relaxed heads. I used the cocasta oil from hair veda and mixed it with pure aloe oil and unrefiend shea butter. The end result was a whipped creamy treat which I LOVE. I used it on my hair and it did give me great shine but I can see that over time it may make my hair too greasy. * Please check my late post for Monday Nov. 3rd. to learn about the free makeup makeovers. 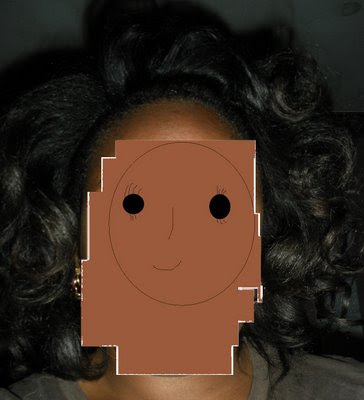 If you decide to get your free makeup application, please report back and let us all know how it turned out. Liquid leave in conditioners have never really done the trick for my hair. Unfortunately I am still on the hunt for the perfect solution for my coils. I have the Moisture Mist Leave In conditioner by shescentit and initially it left my hair feeling conditioned and soft. However as soon as the product dried I felt like my hair was a little crunchy. I do like the light floral scent but the crunchiness forced me to wash my hair again. Instead of leaving it conditioned, it left my hair feeling dry. I remember using this product without a problem when I had received a relaxer but now I am not having the same pleasureable experience. I also know that the weather is different so maybe that is having an impact on how this product works with my hair. I will wait until December to use this $10, 8oz 98% natural moisture mist again (when I get my next relaxer) and I will give you all an update on this product. Here are the ingredients: " Chamomile, water infused with Aloe, Nettle extract, grape seed extract, Honey, Colts foot extract, Horsetail, Silk Amino Acids, Sage, Rosemary, Glycerin, Shea Butter, Mint extract, centrimonium chloride, Tocopheryl Acecate (vit E), Panthenol, citric acid, polyquartemium, Nonoxynol, Benzophenone "
Hair Update - I mentioned that I would get my next relaxer in December but that may come a little sooner than I thought if I continue to encouter the problem I exprienced today. After washing my hair I thought everything was wonderful until I came up agains a big tangle, it took a really long time to work out the kinks. Apparently some long shed hairs wrapped around my healthy hair and didnt want to let go. I worked the tangles toward the bottom and did a little cutting at the ends to remove the final knots. I know that my method of washing my hair was less than stellar and probably to blame for getting some of those knots worked in so i have to do a better job next time. How do you get your tangles worked out of your hair without cutting? Any secret tips? 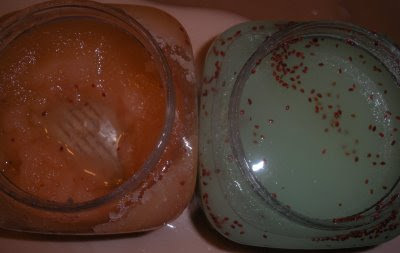 Tomorrow I hope to post on one of my latest concoctions :-) it's a body butter. *Sorry everyone I'm a moron. I knew I would be in meetings all day so I submitted this post very early, or so I thought. Apparently I clicked "save draft" instead of "publish post" so the post for today is very late. Sorry.